When Prince Harry and Meghan launched their Instagram account the other day, they set a record, attracting one million followers faster than anyone ever before, including the Pope and a Korean pop star. But the Duke and Duchess of Sussex’s new foray onto the social media platform also sends potential signals about shifting power and bids for control within an evolving House of Windsor — it comes as Harry and Meghan break off from Prince William and his wife, Kate, and set up their own household. Borkowski likens the current machinations within the House of Windsor to a certain TV series about to have its much-anticipated return for its eighth and final season. No one is suggesting anything like a Red Wedding massacre is in the offing, but there may be power imbalances at play, particularly if Harry and Meghan have a profile and power that seem to eclipse those closer to the crown, such as his father. While the palace may try to control the media and the message, recent events suggest there is room for improvement. Communication around Prince Philip’s car accident in January was thought by many observers to be poor. Consider, for example, the optics of a replacement Land Rover being delivered to their rural estate in Norfolk the day after the Queen’s 97-year-old husband was in the crash nearby. And then Philip was seen driving without a seatbelt the day after that. In their first few days on Instagram, however, Harry and Meghan were firmly in control. And it’s a safe bet they’ll keep drawing followers, particularly when they post the first picture of their new baby once the child arrives in the next few weeks. If that picture is the first glimpse the world gets of the child, the control would ramp up considerably. There’s speculation Harry and Meghan may opt out of what has become a popular royal tradition over the past couple of generations: posing for a picture of the new family on the hospital steps a few hours after the birth. A baby girl named Elizabeth — or Lily? As the due date for Harry and Meghan’s first child draws closer, a new name has emerged as a favourite among some bookies. While Diana (as in Harry’s mother) had been topping some lists, the odds have moved toward another name with a substantial royal pedigree: Elizabeth, as in Harry’s grandmother, the Queen. Ladbrokes cut the odds a few days ago from 16/1 to 6/1 on Elizabeth. Coral also moved to 6/1 on that name. 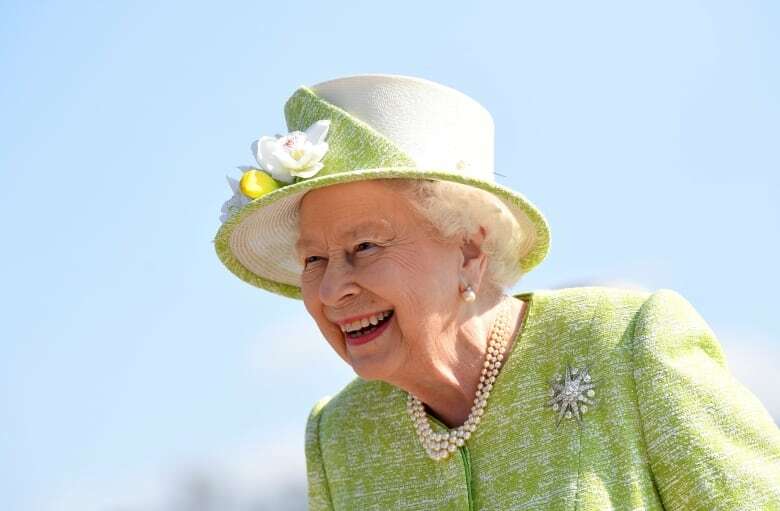 In addition, some bettors like the idea that the baby might arrive on April 21, the Queen’s 93rd birthday. “It’s no coincidence that punters backing the royal baby to be born on the Queen’s birthday are expecting Harry and Meghan to opt for Elizabeth on the name front,” said Alex Apati of Ladbrokes in a statement. Others also see potential for a baby name honouring the current Queen. 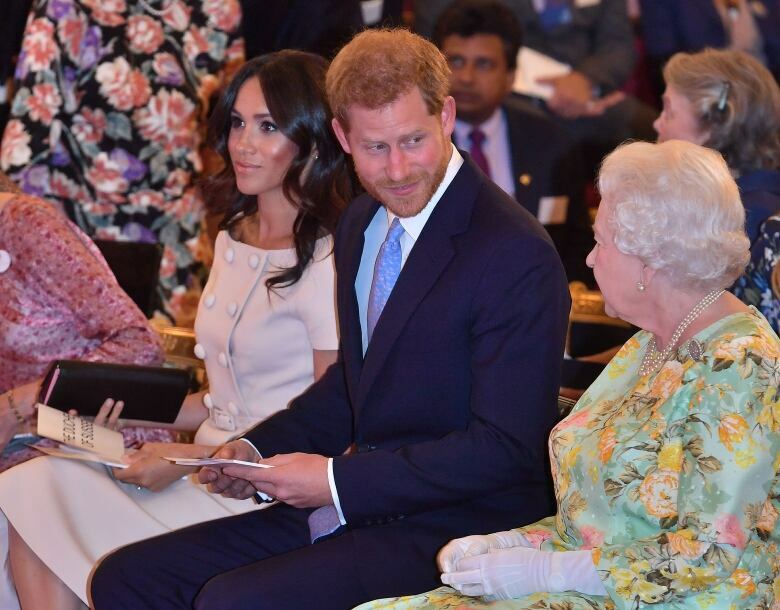 Genealogy company Ancestry had genealogists and family historians comb through records and Harry and Meghan’s family trees to help come up with predictions for names. Topping the list for a girl is Lily, an updated version of the Queen’s nickname, Lilibet. Ruth — a name of great-grandmothers on both Harry and Meghan’s sides — came in as the No. 2 prediction for a girl. No. 3 went to a name with deep historical and royal roots: Matilda. Heir and only legitimate daughter of King Henry I, Matilda held power for a short time in 1141. The name means strength, said Ercanbrack, who noted that more traditional baby names have also been popular for a while. “There’s a contemporary appeal to Matilda, but there’s also a really compelling historical angle from Harry’s lineage,” said Ercanbrack. If the child is a boy, Ancestry is predicting Charles (for Harry’s dad), Philip (for his grandfather) or Alexander. 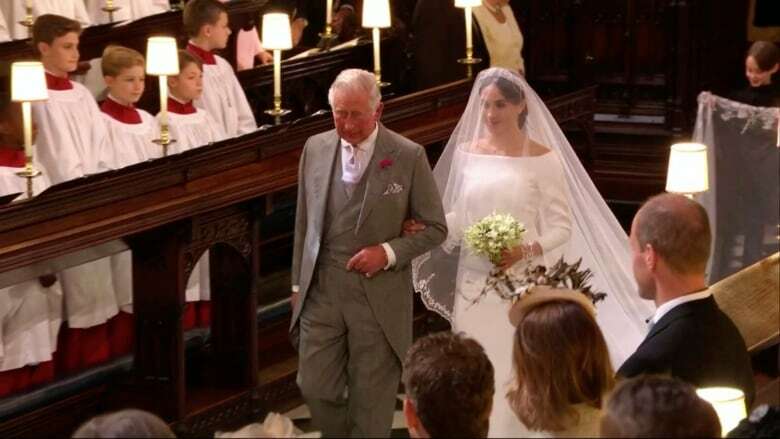 Ercanbrack said several Ancestry experts picked Charles, which would mean honouring “someone who Harry is clearly very close to, and I think has meant a lot of Meghan,” having among other things walked her down the aisle at their wedding last May. Ancestry’s review of records from 1840 to 1990 also found that names chosen by royal parents could set trends for babies born outside palace walls the following year. The birth of Harry’s uncle Prince Andrew in 1960 was found to have the largest impact in the U.K., Ancestry said, with 5,500 Andrews born in 1961. Ancestry doesn’t break out Canadian data, but anecdotally, it seems royal names can have an influence here, too. Tennis player Eugenie Bouchard has said she and her twin sister, Beatrice, were named for the similarly named daughters of Andrew and Sarah, the Duchess of York. What name would you like to see Harry and Meghan give their baby? Drop us a line at royalfascinator@cbc.ca and we’ll include some of your responses in the next newsletter. Andrew and Fergie — together again? 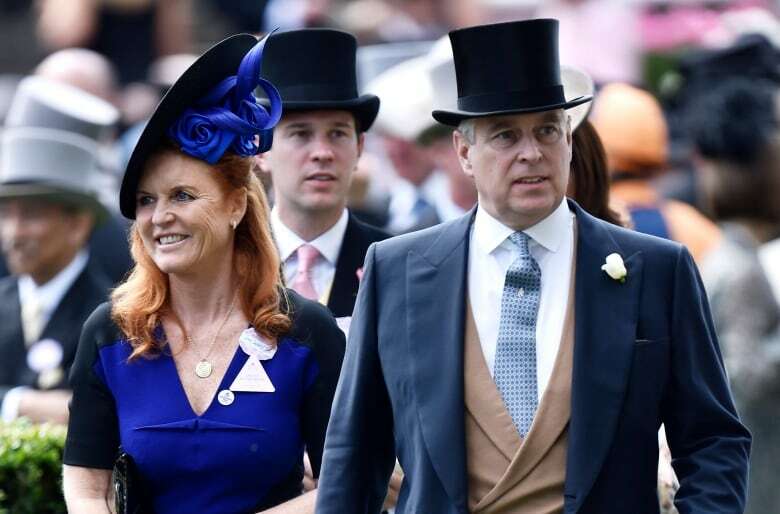 Speaking of Andrew and Sarah, there was oodles of speculation in the past few days that the divorced couple, who are known to remain quite close, might be on the brink of officially resuming their public relationship. Reports suggested Sarah stayed as Andrew’s partner when they were guests of the Crown Prince of Bahrain. Predictions have swirled for years that they might remarry. But it’s also widely thought that such a turn of events would curry no favour with some members of the Royal Family, particularly Prince Philip. And if there is anything in this week’s speculation, no one is publicly acknowledging it. The Telegraph reported that royal sources and an official spokesman for Sarah denied the claims. 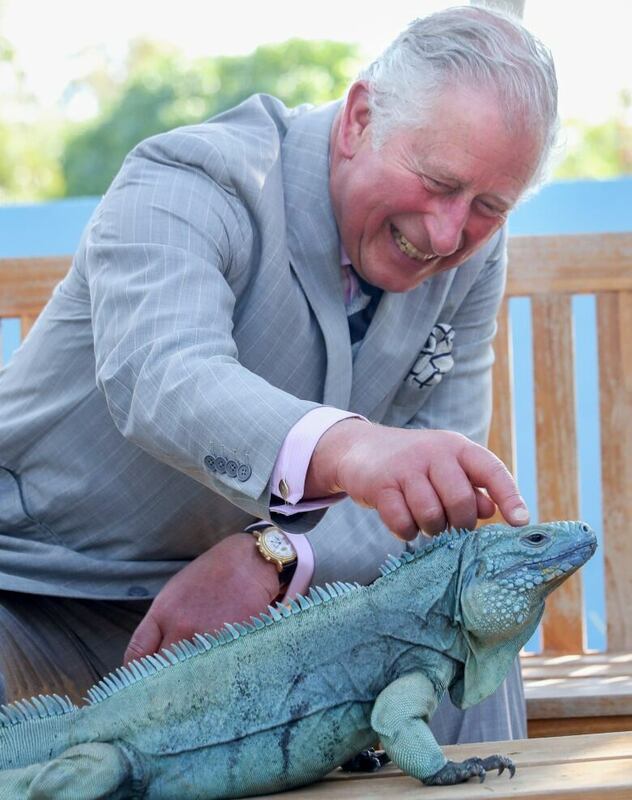 — Prince Charles hails young people demanding action on climate change during a speech in the Cayman Islands last week. Before Queen Elizabeth gave up long-haul travel, she visited Canada 22 times in an official capacity. She often marked significant milestones and events across the country — Canada’s centennial celebrations in 1967, the Montreal Olympics in 1976 and so on. But one visit in April 1982 created a particularly iconic moment on Parliament Hill, not to mention a memorable moment for one politician who got quite a chuckle out of the monarch when his language turned a bit salty. Elizabeth was in Ottawa for the proclamation of the Constitution Act. 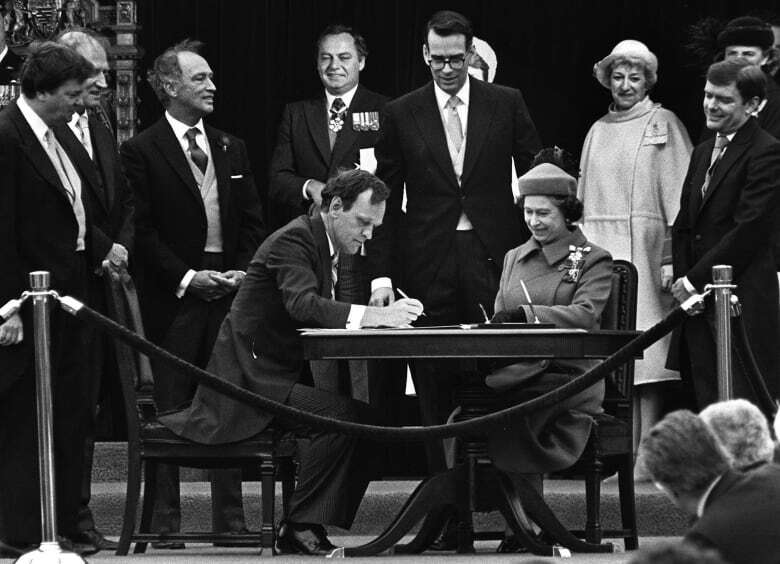 Things seemed to be going along fine at the signing ceremony on April 17 until Prime Minister Pierre Trudeau snapped the tip of the fountain pen when he was putting his signature to the document. That caused some difficulty for Attorney General Jean Chrétien, and was at the heart of a secret he kept for years. The story of Meghan’s extended family has taken a lot of unlikely turns.